Tis another Second Saturday of the month (October 13th) Studio #24 will have artists Paula Hawkins, Angela Whitford, Mathew Gant, Kate, and Eric’s art on display. You are invited to see wonderful works, good company, and enjoy refreshments. 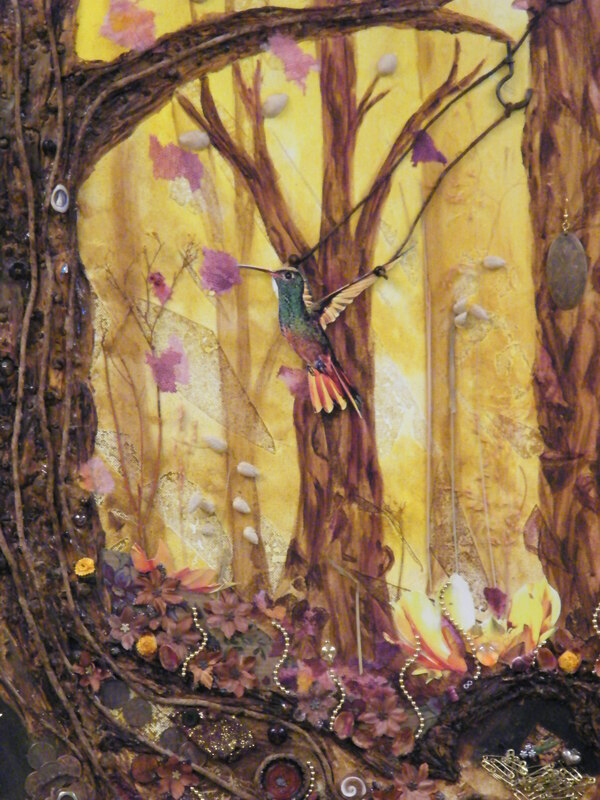 This collage captivates a humming bird, tied to a branch of the tree. I believe this image to be a metaphor for the feeling of being tied back in life, which we all feel at some points in our life. It is more important to be set free, and when viewing this work I hope you will wish for this humming bird to be set free. Studio #24 at Winter Street Studios is Open for Public Viewing 2-5pm this Saturday, November 10th.